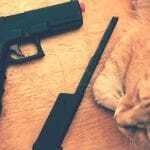 Which Airsoft Gun Battery & Charger for my AEG Airsoft Gun? The Basics. A large portion of airsoft rifles are electric powered (AEG). These are guns that make use of a rechargeable airsoft gun battery and use an electric motor for the launching of the BBs. 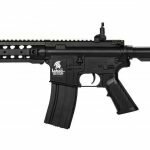 AEG powered airsoft rifles are preferred because of high velocity capabilities and fast rates of fire. Seeing as how AEG airsoft rifles require electric power they must have a battery where they can draw this energy from. The less expensive options will use standard AA batteries, with more high tech options the guns use rechargeable battery options. You’ll find that AEG airsoft rifles that need rechargeable batteries usually come with a battery pack as well as a charger. If the cost of the gun is higher, then batteries might not come with it. This is because owners will have distinct battery requirements and might want to but their own batteries separate. 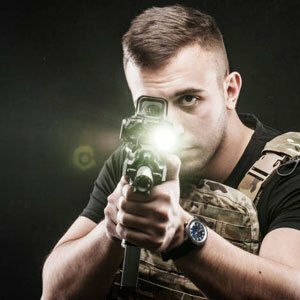 There are two different terms users need to be aware of when it comes to batteries for these guns. These would be MAH rating and voltage. The MAH rating lets a user know how much energy a battery contains. Seeing as how AEG makes use of electricity at a steady rate, then this means if the MAH rating is higher you should be able to use the gun for a long time without the need to recharge. The issue with this is the higher the MAH rating is, then the bigger the battery tends to be. A gun is going to have limits based on size in this regard. A higher MAH battery rating also means a more expensive gun. The voltage a battery has is going to decide the rate power flows from the battery. For example a battery that’s 8.4-volt will operate a specific motor at a specific speed. If the battery is higher in voltage it can operate a motor much faster and so on. If the motor of the gun comes across a load that slows it down, then the higher voltage battery should slow down at a lesser rate than the lower voltage option operating the same motor. If you want to get higher voltage batteries, then understand that these are meant for upgraded guns with tougher gearboxes as well as mainsprings that have more power. 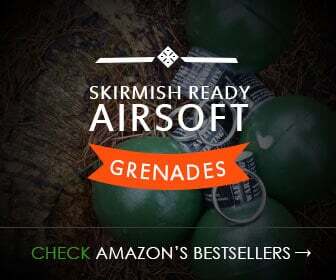 If you try to use them with them a gun that hasn’t been modified, then you can cause damage to your airsoft rifle. The material a battery is created from is going to be important in how it operates. This doesn’t mean in terms of the form of power it gives out, but in the amount of charge cycles and the rate of speed when it comes to these charge cycles. With these types of batteries it’s going to be important to discharge them all completely or you run the risk of losing storage capacity, particularly with AEGs. These batteries charge very fast and create heat when being charged. Because of this they can’t be charged quicker than recommended or they can blow up. The rate of discharge is 10-20 percent each month if not being made use of. These batteries have a memory that’s a little less than Nickel cadmium options. They can also be topping them off also won’t ruin the storage capacity. These can hold a higher charge than Nickel cadmium options of similar size and the self-discharge rate is less. Because of this they have voltage and capacity that better for given sizes. These can’t be charged over a specific rate per hour and can take more time to recharge over Nickel cadmium batteries. Their price is also higher. These airsoft gun batteries that are able to keep a charge for a long duration of time. They can also recharge very fast. Memory isn’t a problem for them, but they aren’t as durable as the other two options mentioned and can sustain capacity loss with age. The other two options mentioned don’t have this issue. Along with all of this users need to make sure they have a good smart charger. 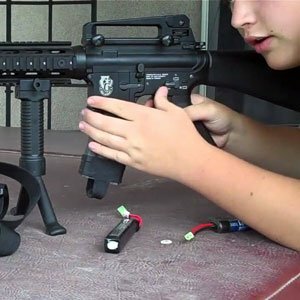 A good charger will be able to keep an airsoft gun battery in peal condition and ensure that a battery has a maximum charge. A peak charger is a good option in this case, because they can charge a battery the right way and make it so that you don’t have to worry about the batteries temperature.